January is the time to start fresh and go fearlessly after what you want! February is the month for love. 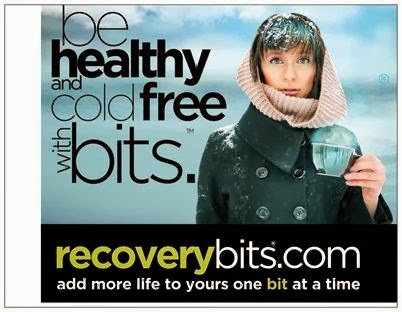 We wanted you to have both so we are excited to be offering you a RECOVERYbits® GIFT WITH PURCHASE that will help you reach your resolution to be healthier and cold free and have some love too! 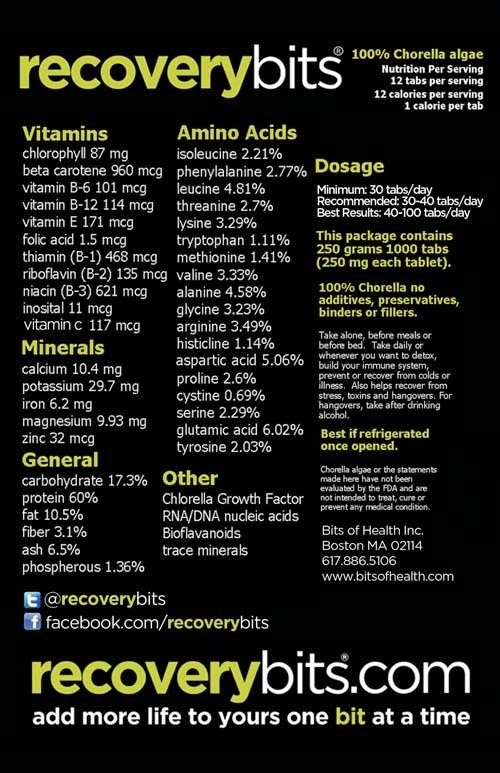 RECOVERYbits® are 100% organically grown NON GMO chlorella tabs - an algae that has been used for fifty years by homeopaths and Japanese for anti-aging, preventing colds, detox, strengthening the immune system, aiding digestion, helping to prevent hangovers, improving athletic performance and more. Thousands of athletes, moms, and busy consumers have found RECOVERYbits® to be the easiest, simplest, safest plant based way to stay healthy! Now it's your turn! Even better, when you use promo code HalfFast at checkout, you will get 30% off your order. RECOVERYbits® algae tabs are the most natural way to recover, prevent or help correct illnesses of any kind, including those pesky colds and hangovers. With just one calorie per tab, RECOVERYbits® algae tabs build your immune system, help you detox or prevent a hangover. And all naturally too. Remarkably our RECOVERYbits® have just one ingredient, chlorella algae. In addition to being over 60% protein, RECOVERYbits® contains a vast number of vitamins and nutrients, including Vitamin C, ZInc, all your B vitamins and more. 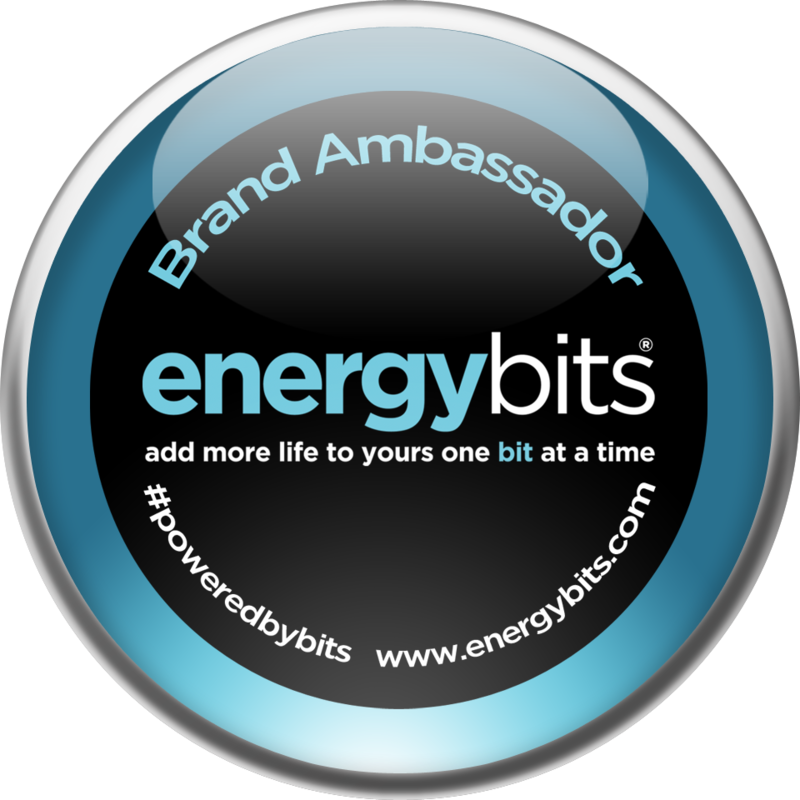 RECOVERYbits® also have a powerful ability to help detoxify your body and eliminate chemicals and other toxins that gather there. Disclaimer: As an RECOVERYbits® Brand Ambassador I do receive indirect compensation through use of my promo code HalfFast. Also, RECOVERYbits® are considered supplements and as such are not intended to diagnose, treat, cure or prevent any disease or medical condition. Your results may vary. Always seek the advice of a qualified professional for any health concern and share with your health provider any information pertaining to your health and well-being, including the use of supplements. 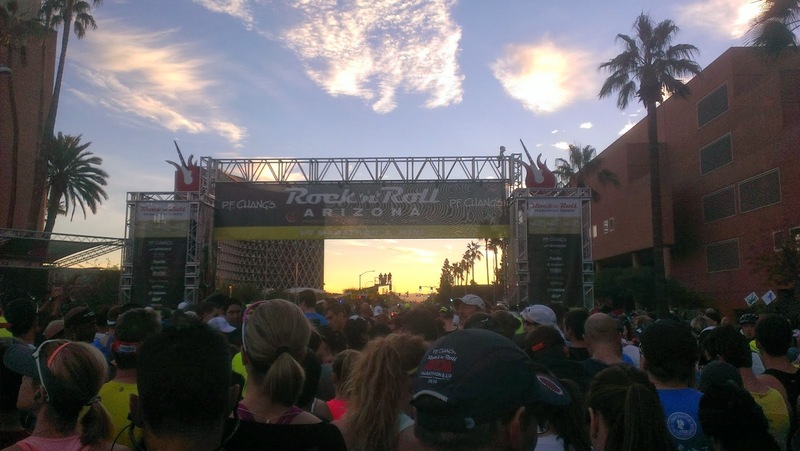 After last year when I overslept, got stuck in traffic, struggled to get parking and barely made it to my corral for the start of the race, my wife and I stayed in Tempe near the start/finish line. This was a very good choice. The weekend started out at the pre-race expo on Saturday for packet pick-up. Now, I'm not thrilled that they it this way since it's downtown Phoenix, where parking is a PITA, and is way too crowded. I was also disappointed that many of the bigger running related companies we not exhibiting. The highlight of the expo was meeting fellow tweep Allison (@Dec_Philistines) at the Social Media session. After the expo, we checked into the hotel then headed out for dinner. Since I work in the area, I know a great little pizzeria that has a fantastic spaghetti and meatball calzone. Can you say carbo-loading? After dinner it was back to the hotel and we called it an early night with the alarm clock set to 5 am. Things always don't work out as planned however. Because of a case of pre-race nerves and having a room that overlooked the freeway off-ramp, I didn't get a very good night's sleep. Race day started out with a good breakfast, some ENERGYbits and a short walk to the starting line. Because everything went as planned, I had enough time to hit a port-potty, stretch, take some more bits and settle into a spot in my corral with 10 minutes to the gun. How I got corral 1 I'll never know but it was sure nice not to have to dodge much "traffic" at the start. After the National Anthem and a brief ceremony honoring of the Granite Mountain Hotshots, the race was off and so was I. The plan was to average 7:30/mile but I went out a little too fast with my mile 1 and 2 splits at 7:10 and 7:21 respectively. I really didn't feel like I was pushing it but settled down for the next 3 miles and got into a good groove at 7:30/mile, making sure to hydrate at all the water stations. Another part of the plan was fuel at miles 5 and 10 with GU and at the midway point with 30 more bits. For those of you who are wondering. I keep my bits in a Tic-Tac container and can easily swallow 5 or so at a time without any water. For whatever reason my mile splits slowed down by 10 seconds or so after around mile 5. Part of this can be attributed to the fast start but some can also be attributed to the race being pretty much being entirely uphill through to mile 9.5. My favorite part of the race is by far the portion through Papago Park from miles 8 through 12. Even though it is the most challenging part of the course, it is the most beautiful. The views through the park are what makes this race so worthwhile. With the last 3.5 miles being downhill with a pretty quick decent, I feel as though I made my biggest mistake of the race in this portion. Not wanting to blow my legs out by going too fast on this segment, I may have actually hurt my time by holding myself back and braking. I also feel like I expended too much energy which didn't allow me to finish as strong as I could have. As the miles clicked by and with my legs getting heavier, I headed into the home stretch. As I came over the Mill Avenue bridge with less than a mile to go, things got a little complicated as the mini-marathon runners/walker merged with the half. While I applaud anyone who gets out on the road, these fine folks were towards the back of he pack, spread out and in groups of 3-5 making it near impossible to run in a straight line. Even though the course changed this year to finish at Tempe Beach Park, the last half mile was still lined with spectators cheering us on. With a final surge of adrenaline, I let it all hang out and crossed the finish line in 1:39:12 which is 11 minutes better than last year's time (my first half) and a new PR by a little over 3 minutes. So with another race in the books I look forward to next year but not without thanking Competitor Group for putting on a great event, the spectators and bands who lined the course to cheer us on, my fellow runners and most importantly my lovely wife Christine for sharing the weekend with me and being there at the finish. The title says it all and that's pretty much how I feel. Now I should be feeling pretty jacked up with the PF Chang's Rock 'n' Roll Arizona Half Marathon this Sunday. I've been training since August with a string of PR's, remained pretty healthy and feel ready to go yet, I have no ambition. I'd like to attribute this to my lack of activity in the last few weeks as I've been taking it easy since I've been dealing with extensor tendonitis but I'm not sure that is the case. I've also considered that my training cyce is too long. Five and a half months is a long time to stay focused and does take its toll on the body and mind but I've taken some breaks in order to stay fresh. I don't thinks it's anything external either. Life is life; outside of my wife being worried about her dad who is 80 and dealing with some health issues, everything elso is just fine. So, I decided to go through my training logs and lo and behold I've been here before. Actually it was the same thing last year leading up to this race. It also happened before last February's Lost Dutchman Half, November's AZTV3 Half and a few other races. What's more, the bigger the race, the bigger the blah. Now I've heard about a post-race funk but the pre-race blahs. Is there really such a thing? Herein lies the rub. I could stick to running just for the fun of it and not race but the only thing I enjoy more than a soul refreshing run is running a great race and crushing a PR. I ask you friends, has this ever happened to you and how do you deal with it? Don't get me wrong, I don't hate the holidays but being a creature of routine I lose focus on my diet, among other things. It's really no excuse but I use the holidays as a convenient reason to eat too much junk; the rational being that it is after all only once a year. Problem is that it undoes all my hard work from the previous 11 months. Throughout 2013 I was pretty much able to maintain a consistent weight but that changed in October when I quit smoking. Boom, 5 pounds added out of nowhere. Then came Thanksgiving and another 10 pounds around that holiday. At least I got in a good 2 week fast and was able to get rid of that extra flab. Well, the same thing happened around Christmas/New Years except it was 12 extra pounds and with my race schedule for January and February, fasting is not an option. It's great for weight loss but, there is too much of a negative effect on performance and endurance with a 1/2 in 2 weeks. At least the holidays did not screw up my training schedule too much but I do notice the extra weight on both my runs and XT. On the plus side, I had a very encouraging run today. For the past few months I've had some post-run pain in my right foot that didn't seem like a big deal. It didn't seem like anything to worry about since it was a minor ache and didn't seem to be affecting my runs. Like any other ache, I would ice it but a few weeks ago it started to become an issue. After doing some research, I was glad to find out that it wasn't anything major (at first I feared it was a metatarsal fracture) just extensor tendinitis. Not to downplay tendinitis in the least but after having achilles tendinitis, I knew it was something that was easily treatable. Since I experienced quite a bit of pain in my extensor on my Thursday recovery run, I decided to take this weekend off from running and just do XT. Well after yesterday's XT session that focused on legs I was surprised to have no pain afterward and gave some thought to possibly running today if I still felt good. Woke up today pain free and decided to give it a go; I'd just take it easy and run until I started to feel the slightest bit of discomfort. On my last run, I was hurting around mile 4 so I figured that would be my limit today, however I did make provisions for longer (ENERGYbits and Nuun infused H2O). The run went really well and I feel like I benefited from an extra day off the road. I felt good, felt strong and made it to over 8 miles before I had a flareup. Mission accomplished, I ended the run at 9 miles. 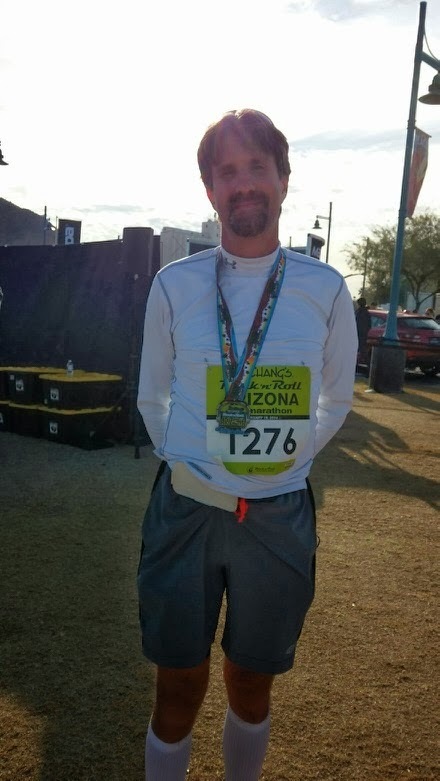 So, 2014 is off to a good start and I think I'm ready to go for the PF Chang's Rock 'n' Roll Arizona Half Marathon in 2 weeks. You've most likely heard the saying that you don't know where you're going if you don't know where you've been. Going into 2013, I wasn't quite sure where the road was going to take me. Even though I had made the decision to take my running more seriously, I really didn't have much of a plan and it showed. Yeah, I was signed up for a couple of half marathons and yeah, I was going to try to run regularly but that was basically it. In hindsight I was fortunate that things started off as well as they did and I can honestly say that I may have made every possible mistake a runner could make. Be it running in sub-par shoes and cotton socks, not eating properly, not getting enough sleep, not having a plan; you name it, I was doing it wrong. Fortunately, because of the interwebz and social media, there is a great network of runners to fall back on. So what did I learn in 2013? Most importantly I learned it all starts with what's on your feet. Think about it for a minute, a half-fast runner like myself takes over 1300 strides per mile and our feet are the link between our body and the road. If there is any piece of advise I could give a new runner, it would be to go to your closest running store and get fitted for a pair of shoes that are right for you. Once I made the leap into a real pair of running shoes, Newton Sir Issac S, I immediately noticed an improvement in all facets of my running and couldn't believe the difference they made. My form improved, I got a little faster and I didn't get blisters. The second lesson learned was that in order to improve, you need to have a training plan in place. 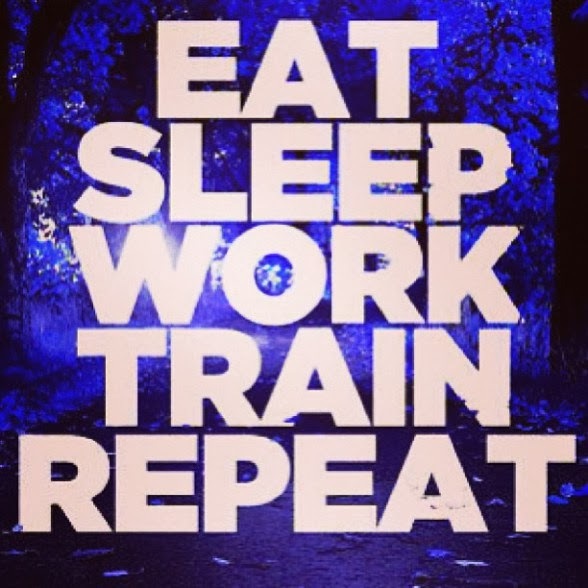 Whether you get a free plan, buy a plan or hire a coach, I can't stress enough that you need to have a plan! I was foolish enough to believe that all miles were created equal and that you got better just by running. For the first 7 months of the year I would run as hard as I could at whatever distance I felt like doing on a particular day. Sure I was seeing some improvement but once I actually committed to following a training plan, I made a stunning observation, I was becoming more consistent. Imagine that! Going forward in 2014 what I need to work on most is to listen to my body. I have the tendency to try to run through ailments which then linger and get worse when a few days of rest would have been a better option. 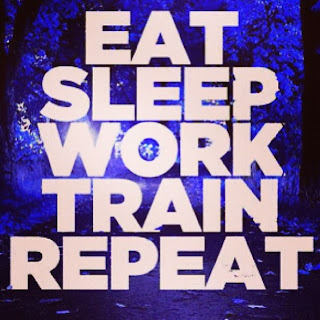 I need to realize that I run for fun and an extra day or 2 of rest will yield positive results. Besides, I can always work on strengthening some other body part if it is just an isolated injury. I also need to improve my diet. We did get better in 2013 and generally we have a pretty healthy diet with limited indulgences (although the holidays didn't help). If anything we tend to not have a proper balance of nutrients as well as under-eat. Definitely have a lot of room for improvement. All in all, 2013 was a good year with some lessons learned and progress made; now it's just a matter of carrying that forward into 2014. So, stay healthy my friends and may 2014 be a year full of PR's for all!